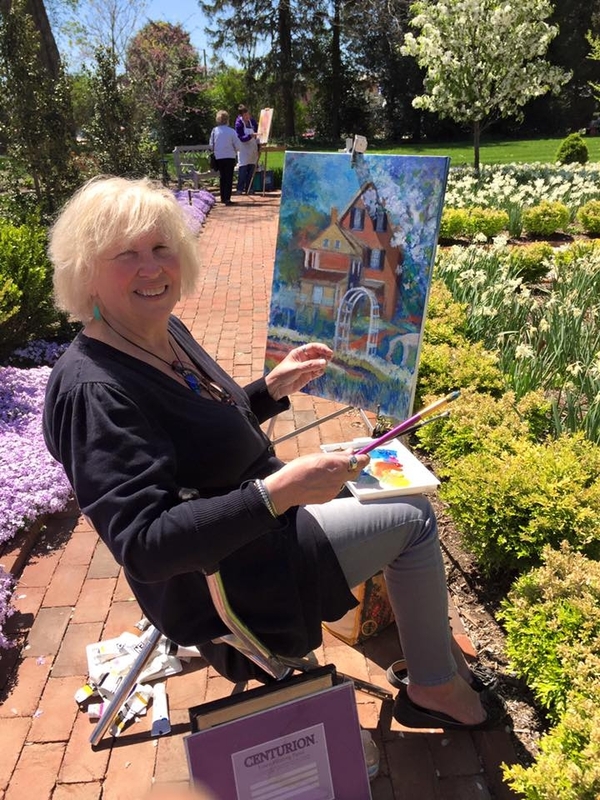 Taylor is in her element plein air painting at local Delaware landmarks. Shown here at Woodburn. Taylor has been painting professionally for 31 years and has reeased 30 limited edition prints that capture various aspects of life on Delmarva, particularly Delaware where she has lived since the 70’s. She id self-taught and has studied with WPA artist Jack Lewis, realist H. Earl Abbott, George Bochius, Tony Couch, and Lois Griffel. She refers to her style as folk impressionist and uses a colorful palette in both plein air and studio work. She catalogs on Etsy for convenience and can be found most days in the studio she maintains in Parke Green. She loves capturing the history of the region in both her art and writing. She is also a published writer. Richard had a long career in law enforcement as Chief of Detectives in homicide investigations. He had been painting and drawing since he was a teenager having read many art books and visiting art museums throughout America and Europe. He paints primarily in watercolor and loves ships and seacoasts and paintings based on the history of American including war paintings. Howard University has 16 paintings on permanent exhibit. He paints portraits in many mediums including pencil work and accepts commissions. Jan likes detail work as a result of many years as a graphic designer. She captures the local historical buildings and scenes with a particular bent on the accuracy of details. Her favorite subject is the beautiful The Green where Parke Green Galleries is located. She shares her love of history by also conducting tours in October and other times that explores the fascinating stories of the area. She is also an accomplished musician and brings in wonderful talented musicians for our First Friday art receptions.